The unbreakable IBM-compatible, quiet desktop print solution built to excel in the most rigorous office & industrial environments. The Printronix S828 sets a new standard for the ultimate in rugged desktop reliability. More than a high performance serial matrix printer, the S828 builds upon the workhorse tradition of Printronix industrial printers delivering maximum uptime, low cost of ownership, and reliable operation across a wide range of environments. In addition to heavy-duty 6-pin tractors for optimal forms feeding reliability, and industry leading printhead life, the most defining feature of the S828 is the highly functional & durable metal construction designed to outlast any other printer in this category. At 54dBa the S828 delivers best in class acoustics. Around 50% quieter than leading competitors, it is unrivaled in noise reduction. 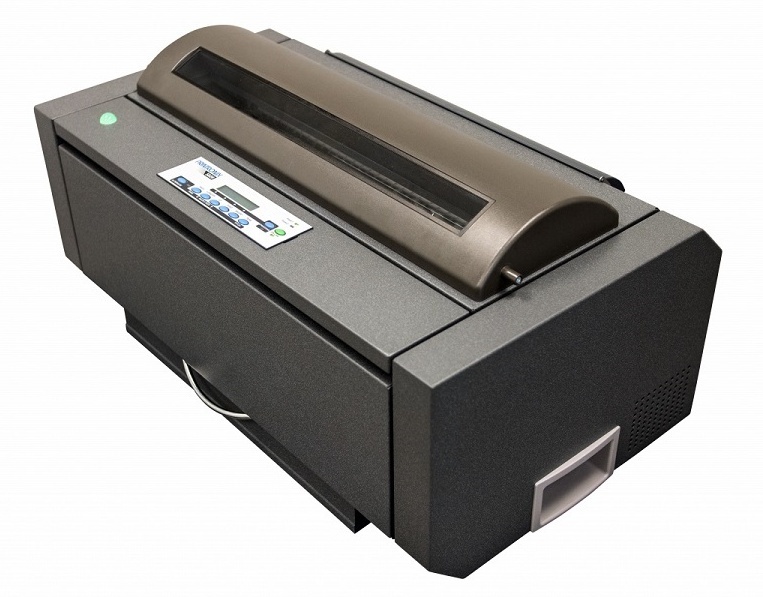 The S828 also combines 800 cps print speed performance (@ 10 CPI) with a high function multi-lingual operator interface for efficient and intuitive operation. Time is money, and the ability to fully automate & customize forms handling will maximize user efficiency through eliminating key presses and expediting forms retrieval. For larger distributed environments, the S828 includes a powerful remote printer management utility to empower IT to view real-time status updates, remotely configure multiple printers, and to access a fully functional virtual operator panel. The S828 also supports a 2nd front feed forms path. For IBM environments, the S828 offers genuine IBM IPDS for absolute compatibility and functionality. In addition to standard Ethernet, USB, Parallel and Serial, the S828 supports ANSI 3.64 and the 18-pin emulations used by legacy IBM & Genicom printers to allow for plug & play compatibility without requiring driver or application changes.